"Public interest Litigation", in simple words, means, litigation filed in a court of law, for the protection of "Public Interest", such as pollution, Terrorism, Road safety, constructional hazards etc. Public interest litigation is not defined in any statute or in any act. It has been interpreted by judges to consider the intent of public at large. 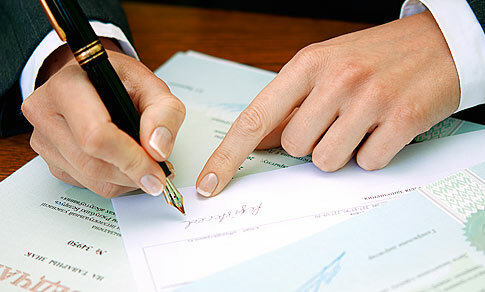 Although, the main and only focus of such litigation is only "Public Interest" there are various areas where a Public Interest Litigation can be filed. For e.g. Compel municipal authorities to perform a public duty. Violation of religious rights or other basic fundamental rights. When can a public interest litigation be filed? These are some of the possible areas where a PUBLIC INTEREST LITIGATION can be filed. Where a factory / industrial unit is causing air pollution, and people nearly are getting effected. .Where some "Banquet Hall" plays a loud music, in night causing noise pollution. Where some construction company is cutting down trees, causing environmental pollution. Where poor people, are affected, because of state government's arbitrary decision to impose heavy "tax". For directing the police / Jail authorities to take appropriate decisions in regards to jail reforms, such as segregation of convicts, delay in trial, production of under trial before the court on remand dates. For abolishing child labor, and bonded labor. Where rights of working women are affected by sexual harassment. For maintaining Roads, Sewer etc in good conditions. For removal of Big Hoarding and signboard from the busy road to avoid traffic problem. Recently a Public Interest Litigation has been filed, for directing the "Delhi Traffic Police" to stop the method of sending challans to address by post, as it is being misused. Who Can File a Public Interest Litigation? Earlier it was only a person whose interest was directly affected along with others, whereby his fundamental right is affected who used to file such litigation. Now, the trend has changed, and, any Public-spirited person can file a case (PUBLIC INTEREST LITIGATION) on behalf of a group of person, whose rights are effected. For e.g. a person in Bombay, can file a PUBLIC INTEREST LITIGATION for, some labor workers being exploited in Madhya Pradesh or as someone filed a PUBLIC INTEREST LITIGATION in supreme court for taking action against Cracker factory in Sivakasi Tamil Nadu, for employing child labor or the case where a standing practicing lawyer filed a PUBLIC INTEREST LITIGATION challenged a government policy to transfer High Court judges and similarly a lawyer filed a PUBLIC INTEREST LITIGATION for release of 80 under trials in a jail, who had spent more number of years in jail, than the period prescribed as punishment for offence, for which they were tried. It is clear that, any person, can file a PUBLIC INTEREST LITIGATION on behalf of group of affected people. However it will depend on every facts of case, whether it should be allowed or not. Against Whom a Public Interest Litigation Can be Filed? A PUBLIC INTEREST LITIGATION can be filed only against a State / Central Govt., Municipal Authorities, and not any private party. However "Private party" can be included in the PUBLIC INTEREST LITIGATION as "Respondent", after making concerned state authority, a party. However, a PUBLIC INTEREST LITIGATION can not be filed against the Private party alone concerned state Govt. /, and state authority has to be made a party. 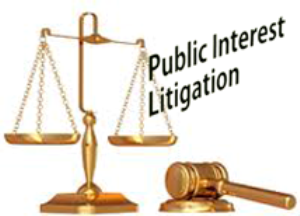 A "Public Interest Litigation", is filed in the same manner, as a writ petition is filed. If a Public Interest Litigation is filed in a High court, then two (2) copies of the petition have to be filed. Also, an advance copy of the petition has to be served on the each respondent, i.e. opposite party, and this proof of service has to be affixed on the petition. If a Public Interest Litigation is filed in the Supreme court, then (4)+(1) (i.e. 5) sets of petition has to be filed opposite party is served, the copy only when notice is issued. A Court fee of RS. 50, per respondent (i.e. for each number of opposite party, court fees of RS. 50)has to be affixed on the petition. Proceedings, in the PUBLIC INTEREST LITIGATION commence and carry on in the same manner, as other cases. However, in between the proceedings if the judge feels he may appoint a commissioner, to inspect allegations like pollution being caused, trees being cut, sewer problems, etc. After filing of replies, by opposite party, and rejoinder by the petitioner, final hearing takes place, and the judge gives his final decision. In the past, many people have tried to misuse the privilege of PUBLIC INTEREST LITIGATION and thus now the court generally require a detailed narration of facts and complaint, & then decide whether to issue notice and call the opposite party. But still it depends upon facts and circumstances, and court has the entire discretion. Prohibiting cutting of trees or making provisions for discharge of sewage, till the disposal of final petition. Relief in most of the PUBLIC INTEREST LITIGATION cases in the Supreme Court is obtained through interim orders. The court may appoint a committee, or commissioner to look into the matter, and submit its report. Such committee or commissioner may also be given power to take cognizance of grievances and settle it right in the public intent. The court may also give final orders by way of direction to comply within a stipulated time. It will purely and solely depend on the "Nature of the case", if the question involves only a small group of people being effected by action of State authority, the PUBLIC INTEREST LITIGATION can be filed in high court. For e.g. if there is a sewage problem in a locality effecting 50 families, the PUBLIC INTEREST LITIGATION can be filed in High court. If a large section of people is effected whether by State Government or Central Government, PUBLIC INTEREST LITIGATION can be filed in Supreme Court For e.g. placing a ban on adult movies, prohibition industrial unit from causing pollution etc.